Hebburn Helps is a community voluntary organisation who aim to help people and families in the community in need and are struggling during times of crisis. This Christmas, Hebburn Helps have ran The Big Christmas Toy Appeal, an appeal to collect and personally deliver presents to children and families, which the organisation have helped over the past year. The team at our Silverlink Centre were discussing the non-profit organisation one lunchtime last week and thought it would be a nice idea to buy presents for children who may not receive anything. From this discussion, employees brought in a range of toy gifts before Kayleigh, Branch Accountant, and Nick, Sales Manager, delivered them to Hebburn Helps, who were very grateful with our donation! To be kept up-to-date with our latest news & events follow our Facebook, Instagram, Twitter & LinkedIn pages! The Driver and Vehicle Standards Agency (DVSA) have confirmed that from today (Monday 4th December), changes to the driving test are now in effect. Take a look at our top picks for new cars as we get ready for the September 67 plate change! Check out our handy guide on the new child seat laws and everything you need to know about choosing the correct seat for your child. Take a look at the latest technology to reduce phone use behind the wheel. Take a look at the All-New limited edition Abarth 695 XSR Yamaha! We take a look at the new speeding fines and what it could mean if you get caught. Don't get stressed out trying to de-ice your car, follow our top tips! Here are our top winter driving tips to get you and your car through the next few months. Our top tips on how to prepare for your European driving holiday. Some of the team at our Durham branch are embarking on a gruelling two day challenge later this month to support and raise money for excellent charities close to their hearts. The team are doing the Coast 2 Coast starting at Whitehaven on the 26th August and finishing the challenge at Sunderland on the 28th August 2016. The end of this month will see the 44th anniversary since Fiat and Abarth merged. With the hottest day of the year sneaking up on the UK, Richard Hardie have put together some tips to help you and your car stay cool this summer. Chris Moody celebrates 25 Years with the company on 1st July 2016. Chris originally started as an YTS apprentice for 2 years at the Chester le Street branch and then became employed on the 1st July 1991. Since then Chris has had many promotions from then and became Group Parts Manager in 2001. Our cars take a bit of a beating over the cooler months. Follow our tips to ensure your car is ready for long summer drives! Richard Hardie Raises £127 for Text Santa 2015! Last week we raised £127 between our Sunderland and Durham dealerships for Text Santa! Abarth have recently launched a special 595 Trofeo Limited Edition for enthusiasts looking for a fun drive in an exclusive model. Could the Fiat 500X be set for an Abarth makeover? After months of speculation, plans for an Abarth 124 Spider have been confirmed! Abarth To Launch Spicy 500X? The iconic Fiat 500X was launched to a great fanfair in Turin last autumn, with its sophisticated technology and driving capability. It was the first crossover in the 500 family and came in two handy editions: City and Off-Road. Update the power of your Abarth Competizione, read our updated reviews. Get ready for summer with a brand new Abarth Cabrio! 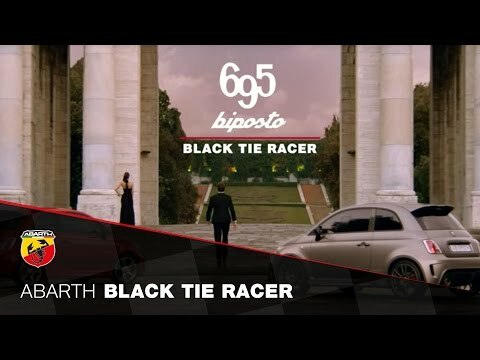 Following it’s road debut and starring role as the ‘Official Car’ of the Gumball 3000 Rally and appearance at the prestigious Goodwood Festival of Speed the Abarth 695 biposto will attend the Salon Privé event at Syon House on the 3rd to 5th September 2014. The new autumn 2014 registration plate change arrives on 1st September, and drivers can benefit from great bargains on the latest Fiat models at Richard Hardie. He can afford any car on this earth but forget a Lamborghini, the only Italian motor Clint Eastwood wants is a Fiat. The 83-year-old mega star arrived on set in Venice, California, in the Fiat 500 Hatchback. To further improve the quality and presentation of our used cars we’ve recently established a dedicated photography area within our centralised used car preparation area. 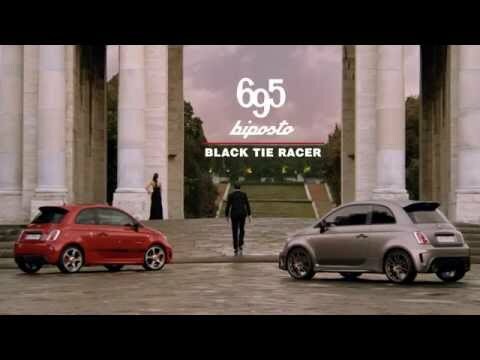 Fiat have launched a special edition Abarth 595 to celebrate the car’s 50th anniversary. The original Abarth was unveiled at the Turin Motor Show in 1963, which propelled the original Fiat 500 into hot hatch territory.